These Guides are intended to provide a general outline of policy and requirements of the Canadian Tax Regime when doing business in Canada that must be considered at the outset of your venture. Please note that information contained in this guide is current as of the date of publication. New tax legislation and changes to business regulations are changing continuously. With the introduction of new accounting software, tax related programs and the proliferation of information available through Internet-based sources, it is highly recommended you seek the advice of a professional advisor to confirm comments contained in this guide are current. 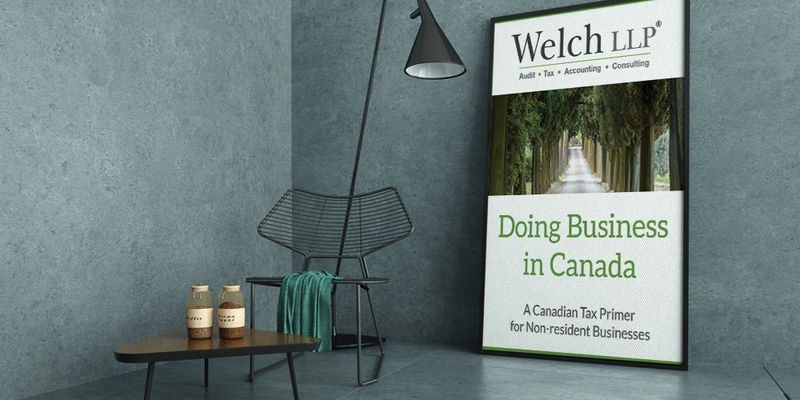 The Partners and staff of Welch LLP, Chartered Professional Accountants, would be pleased to provide you with personalized advice and assistance to help you manage your business in Canada. This guide is a collaboration of Welch LLP and Gowlings LLP.